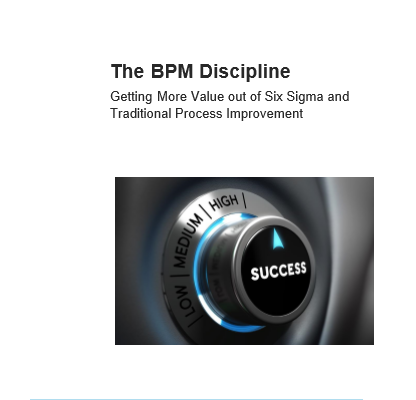 Traditional process improvement techniques such as Lean, Six Sigma, Total Quality Management (TQM), etc. have delivered tangible improvements for many organizations by improving quality, eliminating process waste and reducing non-value-adding activities. While these initiatives typically start off well, generating excitement and great progress, they all too often fail to have a lasting impact as participants gradually lose motivation and fall back into old habits. There are also many examples where these traditional improvement approaches did not lead to any tangible business outcomes while consuming significant resources. In other cases they created benefits in one area and issues in others – neutralizing the overall effect.